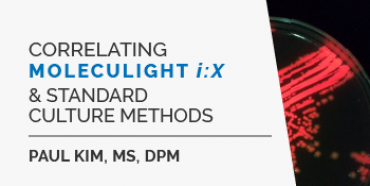 Learn how the MolecuLight i:X can be used to guide debridement. 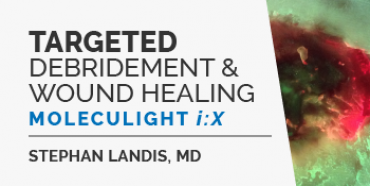 Learn how the MolecuLight i:X can be used to assess and manage wound bioburden through guided debridement. See how the MolecuLight i:X is used to improve wound management and patient engagement. 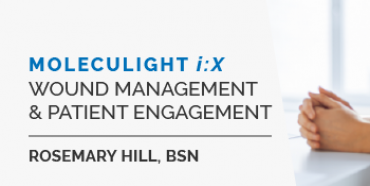 Find out how Rosemary Hill, BSN uses the MolecuLight i:X to improve wound management and patient engagement. Learn how to improve wound measurement accuracy using the MolecuLight i:X. 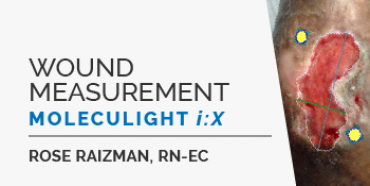 Learn how to improve wound measurement accuracy using the MolecuLight i:X to measure and document wound size. Can we rely on the MolecuLight i:X to visualize Pseudomonas aeruginosa? 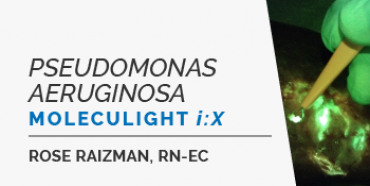 Rose Raizman, RN-EC shares her experience in clinic using the MolecuLight i:X to visualize Pseudomonas aeruginosa. 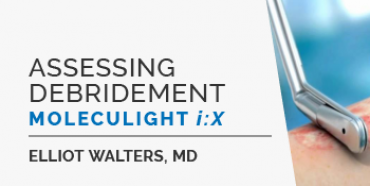 Dr. Elliot Walters assesses debridement with the MolecuLight i:X, and explores how to effectively reduce bacterial bioburden. Learn how the MolecuLight i:X can be incorporated into routine wound care to optimize wound hygiene by guiding targeted cleansing. 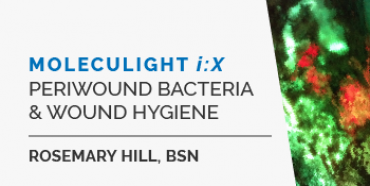 Rosemary Hill, BSN discusses the implications of periwound bacterial load on wound hygiene and how the MolecuLight i:X helped improve patient outcomes in a study of 10 patients with chronic wounds. Learn how bacterial fluorescence imaging can be incorporated into routine wound care to optimize wound hygiene by guiding targeted cleansing. 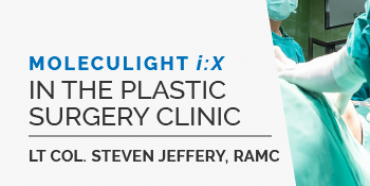 Lt Col. Steven Jeffery, RAMC shares his experience using the MolecuLight i:X in a plastic surgery setting. Lt Col. Steven Jeffery shares his experience using the MolecuLight i:X in a plastic surgery setting. Prof. Paul Kim, MS, DPM shares his findings from a study where he examined the correlation of bacterial fluorescence with standard methods. Prof. Paul Kim, MS, DPM shares his findings from a study designed to assess debridement and its impact on bacteria using qualitative, quantitative, and semiquantitative techniques. Bacterial fluorescence was also tested in this study to examine the correlation of bacterial fluorescence with standard methods. 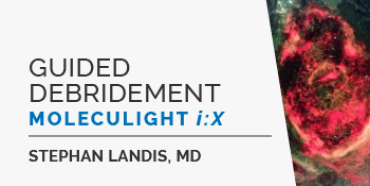 Learn how Dr. Stephan Landis uses the MolecuLight i:X to target debridement in his clinical practice.